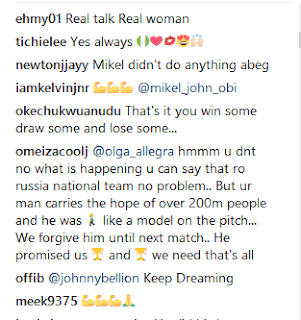 Captain of the Super Eagles, the Russian wife of John Obi Mikel reacted to Nigeria's 0-2 defeat by Croatia in their first match of the 2018 FIFA World Cup in Russia. Russian beauty Olga Diyachenko led her social networking page to comfort and encourage her husband after the disappointing start of the tournament. 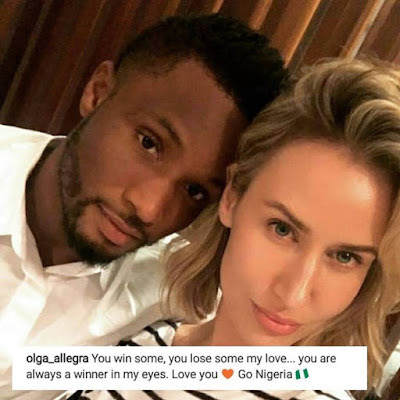 She wrote through her Instagram page; "You win a little, you lose something of my love ... you are always a winner in my eyes, I love you, go Nigeria." According to reports, Olga, who gave birth to the two girls in 2015, is an unconditional fan of Nigeria. 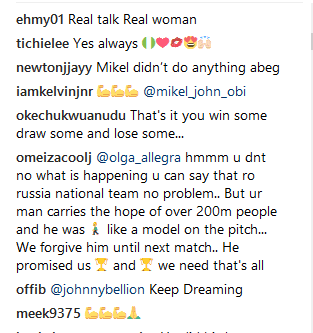 Last year, Mikel, who plays for Chinese club Tianjin TEDA in the Chinese Super League, told FIFA's official website: "My wife is Russian and many of our relatives and friends are from Russia. 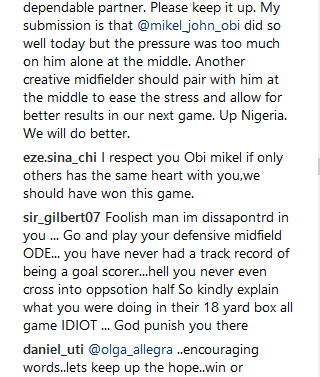 "Everyone expects Nigeria to qualify for the next World Cup." I think they'll kill me if I fail them. " 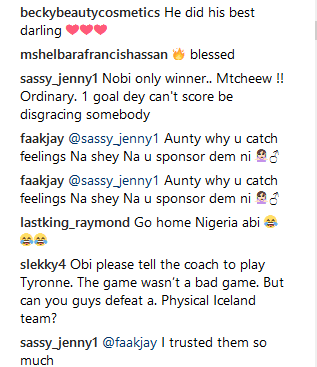 Last year he revealed to the Nigerian media how they met and started dating.